Making the recruitment process easy, faster and viable, Talent Corner has become a recognisable name in recruitment industry in India. In an interview, Rashesh Doshi, MD of Talent Corner H.R. Services Pvt. Ltd shares brands franchise expansion plans. Rita G Chauhan (RGC): How was the idea of ‘Talent Corner H.R. Services Pvt. Ltd’ conceptualised? What is its USP? 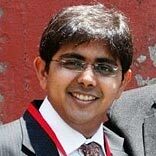 Rashesh Doshi (RD): We are a Mumbai-headquartered recruitment company. Talent Corner has emerged from the idea of creating a competent job portal. After few trails and errors, the idea became a reality in 2002. The exposure to the recruitment industry gave us the opportunity of launching this venture which today stands tall with 11 profit making offices across India. The journey is definitely not a story of ‘rags to riches’. However, it has certainly been a roller coaster ride to success. What is still good to see is that every team member has the single minded vision of making the company more stronger player in recruitment industry. Like many other human resources (HR) companies today, we do not claim to be a multi functional HR services company. We are only a recruitment company and this is what we want to be. RGC: When and what motivated you to adopt the franchise route for business expansion? RD: We have always believed in the India’s growth story. By 2007, we saw lot of work coming to us and we knew then that this business had potential to grow. However, we were very quick to realise that our business not only required a sharp mind and determined efforts but also a believing heart and a gutsy soul. We knew then that we needed to find entrepreneurs to grow in the right direction. We select our franchisees very carefully. However, every single person who has come on board till now has contributed to the company’s goals. I believe that if one really believes in franchising and makes consistent efforts toward their growth then this is the best model for expansion. My view is that there is one simple rule to franchising, the company is as much as of franchisee’s as it is of the owner and they work together for mutual growth. RGC: How many outlets do you have in India currently? How many of these are franchised and company owned? RD: Except for the head office, all our offices are franchised. Today we have centers in Mumbai, Bangalore, Gurgaon, Cochin, Pune and Lucknow. In some cities where we see more potential to growth we have more than one centre. RGC: What are your business expansions plans? RD: In the next five years we would like to cover class A cities and some class B cities also, in India. However we are patient enough to find the right partner. It is better to move a step at a time and ensure that you partner is making profits rather than expanding too quickly. Let us say 20 profit making centers would be a good number to look at. We are not a company which spends a lot of money on brand building. However we would like to be recognised for the work we do. RGC: What are the basic fundamentals that you seek for in your franchisees? RD: Ours is not a ‘get rich overnight’ business. We need someone who, apart from money, has the patience and time to give the business. Being in the service sector, our clients demand attention and we need someone who can give that importance to our client. We definitely need the usual entrepreneur traits like quick decision making, customer centric approach and strong managerial skills. RGC: How much initial investment and area requirements by aspiring franchisees? RD: We need our franchisee to have an initial investment capacity of Rs 1.65 lakh..
RGC: What can you predict about the company’s future success? RD: Talent Corner has grown year-on-year and has a very definitive vision. I do not see any reason why we will not grow and succeed. While I am always optimistic, I guess the best people to ask this question are those who are currently heading my franchisee. They believe in Talent Corner’s success story, a lot more than I do.